LOVE WHERE YOU LIVE!!! Beautiful turnkey unit in exclusive, gated Peninsula Golf Course and Tennis Community! This spacious 3 bedroom, 3 bath condominium captures the essence of a maintenance free lifestyle. 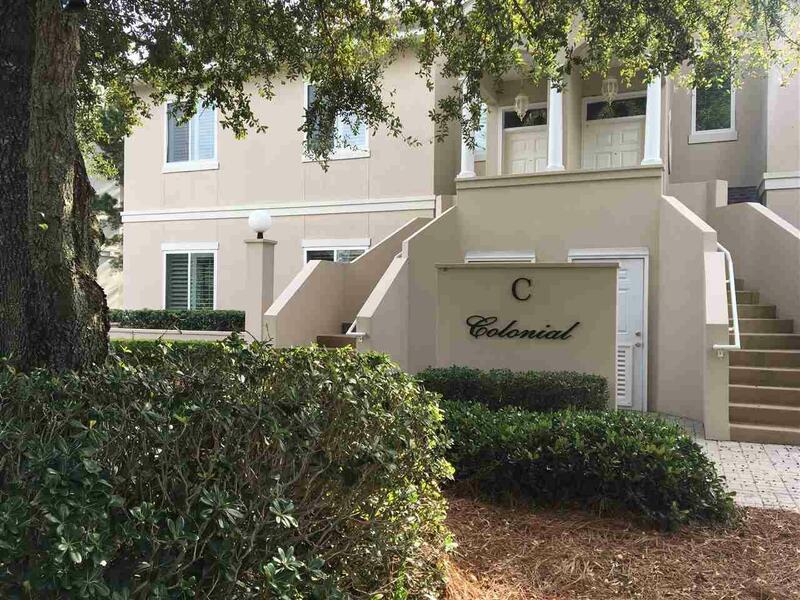 This top floor unit has an open floor plan with vaulted ceilings and expansive views of the meticulously maintained golf course. There is a gracious entry and a 6x8 bar area adjoining the kitchen and living areas. The kitchen has granite countertops, a pantry, and an expansive breakfast counter where you can pull up a seat and enjoy your morning coffee. Off of the LR, the private screened balcony (20 feet wide) is a quiet and wonderful space from which to watch the world go by! The large Master BR also opens onto the balcony and has a lovely bathroom with double vanity, garden tub, and separate shower. The Master BR includes a walk-in-closet with a customized organizational system. All 3 bathrooms have been recently refurbished and much of the flooring in the unit has been updated. The home even includes a laundry area and a private outside storage closet that is conveniently located! Monthly HOA dues include social membership to The Peninsula, giving owner access to the tennis courts, indoor/outdoor pools, fitness center, onsite restaurant and bar, tree lined nature trail, and community pier. (Golf membership at The Peninsula not included, but available for an extra fee.) LISTING BROKER MAKES NO REPRESENTATION TO SQUARE FOOTAGE ACCURACY. BUYER TO VERIFY.